When beginning to scrapbook, creating a plan will help to provide a quick way to set up basic scrapbook pages. Here are seven quick and easy steps to take when wanting to lay out a basic page. Gather and sort photos – Take the time to gather and sort the photos you desire to use to create a page. If you are working with a 12 X 12 album you will have room for more photos than if you are working with a 5 X 7 album. It is okay to have a few extra photos to choose from. Gather basic scrapbook paper – Choose paper that will compliment the photos you are interested in using the basic page. For example, if the photos you have chosen are of your children going to the apple orchard, you may want deep reds as your main paper color. Or, you can use blues if the child is wearing blue clothing. Having several options will give you the ability to “see” how each color layout will look. Decide on your basic layout – This can include a solid sheet of dark red as the “background.” Then, you may want to cut some “photo boxes” with the apple paper. The options are endless, so take a little time to think about what you want your basic page to look like. Add photos – Once your basic scrapbook layout is planned, you can add photos. Photos may be added in the original size, or cropped to your delight. Before cropping, I highly recommend scanning your photos into the computer to use for another time. Or, you can print two sets of photos unless you have them already stored digitally. Add any extras – Once the photos are added, you can include any extras you desire. This can add journaling notes, embellishments, stickers, and such. If you don’t have time in one setting to do this the first time, you can come back and add these at a later time. Using these seven quick and easy steps will help you to create fantastic scrapbook layouts in no time at all. The more you use these basic steps, the more comfortable you will become with creating scrapbook pages. Once you have the basics down, you will begin thinking of different ways to create layouts. You can include themes for photos of your family, friends, travel, and other scrapbook themes. Decide the photos you want to use. 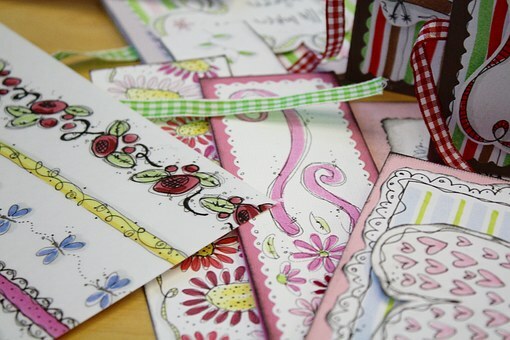 Choose different papers and embellishments (if time permits). Create a layout that works for you. Add the photos to the layout along with any extras desired. Bond the photos to photo safe paper. Allow to dry if needed (some adhesives dry quicker than others). Add the page to your album with a page protector. Now, you have created a basic scrapbook page in a short amount of time! Visit Scrapbooks For Busy Moms for more scrapbook how to, ideas, and layout designs (coming soon!). If you have any comments or suggestions, please let me know! I would love to hear from you! Have an awesome day!